The last weeks we had the privilege to provide our services to the complete American team that participated at the FEI World Cup Finals in Paris. This prestigious event turned out in a great success for the American riders and their horses. Leading lady Beezie Madden took the World Cup with Breitling LS while her compatriot Devin Ryan was able to clinch second spot with Eddie Blue. McLain Ward and HH Azur almost finished on the podium too and became fourth. One day earlier the Americans already had something to celebrate when Laura Graves and Verdades took the second place in the dressage final. The Americans had a part of their preparations at our company in the city of Echt. We have picked up all their horses on Schiphol Airport after their flight and several of them were transported to our place. For some horses stabling was arranged in Belgium and Germany by the Americans. In our stables there was time to rest and relax. Horses were put in the paddocks and their grooms did some walking with them. For these grooms we had also arranged the whole package, like meals, rental cars and a place to stay; in our apartments or in a hotel in the surroundings. After a short period of rest the high performance sport horses could be trained at our facility by the grooms or the riders themselves. 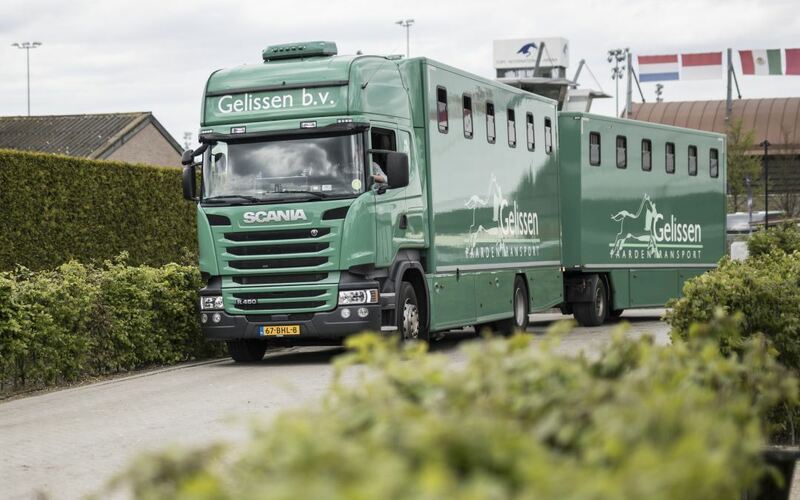 On Monday all the thirteen world cup horses were transported with five of our trucks towards the venue: the AccorHotels Arena in the centre of Paris. Our trucks stayed at location so we were able to bring back the horses directly after the end of the show on Sunday evening. They came back to our place and in the meantime all the paperwork, like the veterinary re-entries, was arranged for their flight back home. After a couple of days of recuperation we brought these top horses back to the airport for the last stage of this successful adventure.